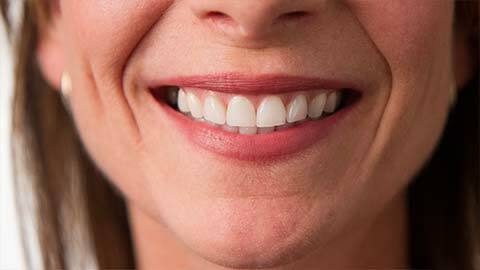 Gum disease is a leading cause of tooth loss in adults. We’ve all seen those frightening pictures at the dentist’s office of advanced gum disease, and no one wants to think about getting it themselves. But in reality, gum disease is both common and preventable. When the hardened plaque deposits on teeth known as tartar go untreated, it leads to inflammation in the gum tissues and then infection which, if not dealt with, deteriorates the gum tissue. That’s what leads to the pain, swelling, and lost teeth in those alarming pictures. The good news is that your dentist at Sunridge Landing has periodontic treatment options that can help to heal both the symptoms and effects of gum disease. With regular visits to the dentist, we can help prevent gum disease by professionally cleaning your teeth and recommending other needed treatments, as well as assisting you with learning good oral hygiene habits at home. But when prevention isn’t enough, or if you’re already showing the symptoms of gum disease, we can treat your periodontic issues and help put you and your gums back on track. The process of removing plaque from the tooth that sits below the gumline. You’re already familiar with scaling: it’s the term you hear at your routine cleaning when we remove the plaque from your teeth. Periodontic scaling takes that treatment further, by removing the tartar and other diseased gum tissues from below the gumline. Root planing is one step further than that, using the process on the roots of the teeth. Removing these deposits is the first step towards controlling gum disease. Sometimes necessary when dealing with gum disease, as the progression of the disease can loosen or damage a tooth beyond the saving point. Though we will normally do all we can to save a tooth, there are situations in which extraction is the better option, in order to reduce the impact on the surrounding teeth and tissues. When this is necessary, we perform the extraction in the comfort and security of our offices. The removal of the frenulum, a strip of tissue that connects the gums to the surrounding tissues of the mouth. Sometimes, people are born with an extra frenulum attaching the tongue to the mouth (“tongue-tied”), and these patients normally undergo a frenectomy at a young age. However, there are other reasons to remove these tissues, and in patients with gum disease, it’s performed to stop the tissues from adding extra stress and pulling the gums away from the teeth. Other patients may have issues with the frenulum attaching the lip or cheek too closely to the teeth. Frenectomies are very simple procedures with a quick healing time. Gum disease can be a scary term to hear at the dentist, but with our trustworthy team and periodontic experience, we’ll have you smiling again in no time. If you need more information about Periodontics in Sunridge Landing, contact us today.